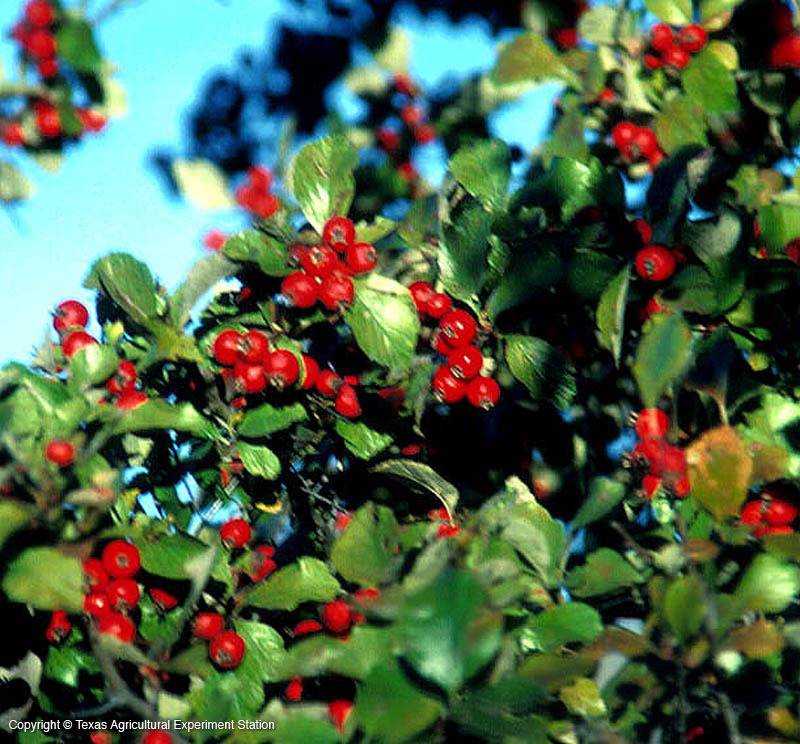 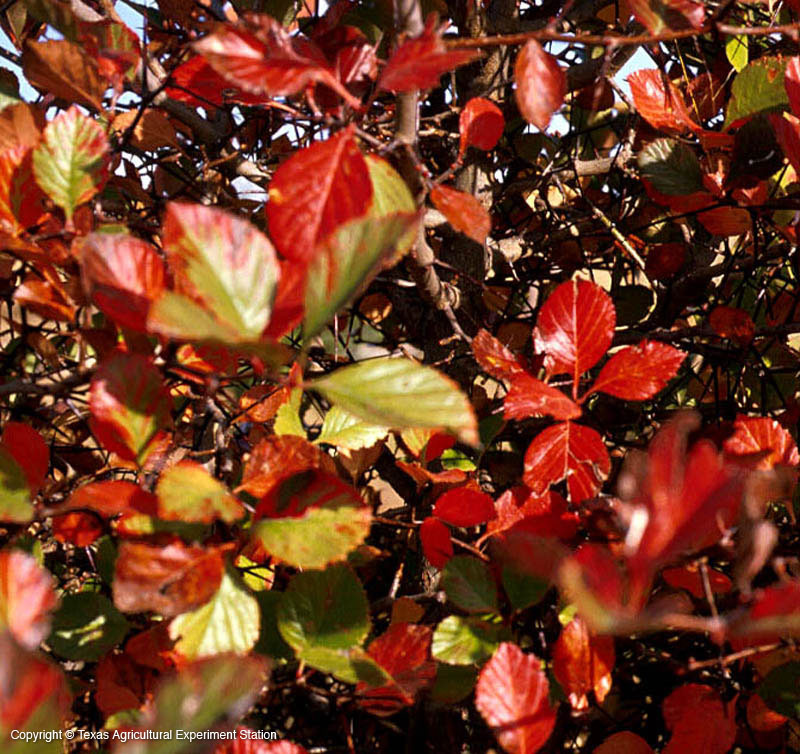 Tracy hawthorn is endemic to Texas and is the most common hawthorn in west Texas, where it occurs on acidic, igneous soils. 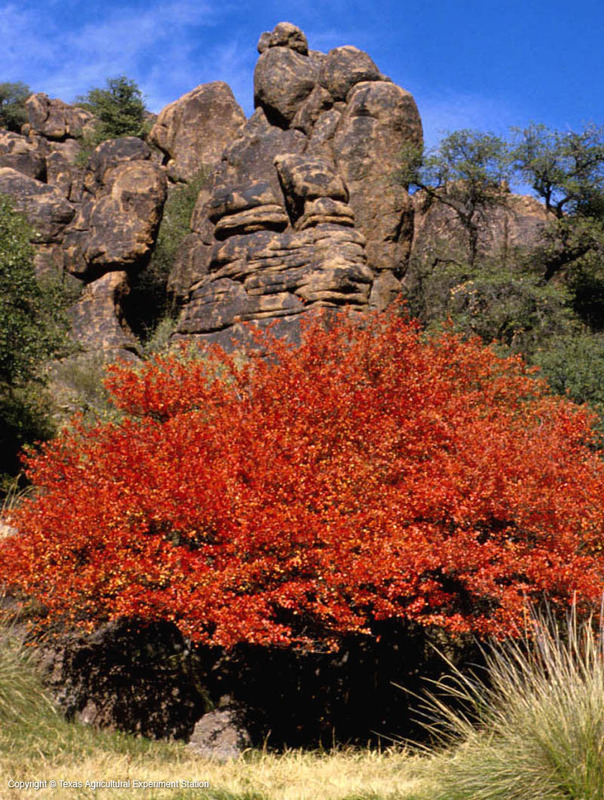 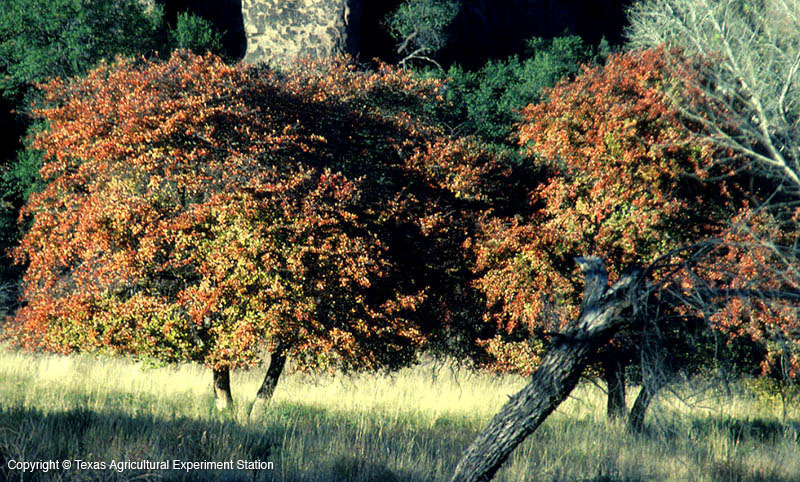 In the eastern part of its range it is usually a shrub, but in the Davis Mountains, it can reach a height of 20 feet. 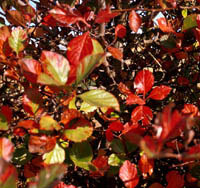 It has spiny branches and scaly gray bark that becomes fissured and almost silver black.